Many people have heard how good a mini split can be and may want to install a DIY kit but worry about the difficulty. There are many YouTube videos and websites with lots of talk about mini split systems and installing one. One thing many post don’t talk about is how difficult an install may be for someone. With that in mind and after many mini split installs here is my opinion on the topic. How Difficult Is It To Install a Mini Split? 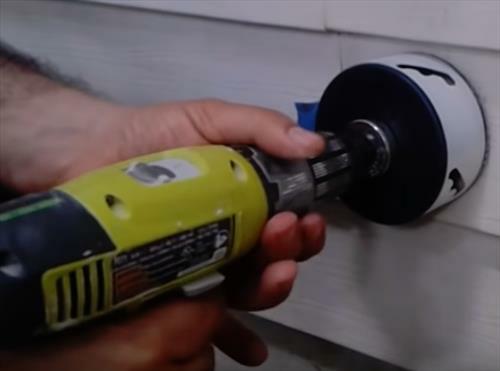 A hole will need to be drilled into wall usually 2-3 inches in size. How hard this is will depend on the wall type. For example a cement wall will be harder than a stucco wall. A hole saw is bought that is basically a big drill bit that goes into a drill and cuts out the hole. Simply buying the correct sized hole saw and a drill is usually all that’s required. A line-set is two copper lines that run between the inside unit and the outside units. 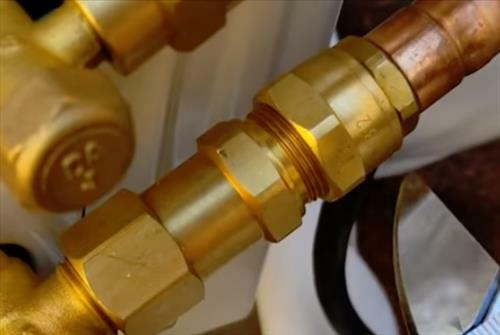 The lines transfer refrigerant that moves heat into or out of a home. A line-set will come with any DIY kit and usually will have the ends already flared. If a unit does not come with the ends flared or the line-set is shortened a Flare Tool is used to re-flare the tips. 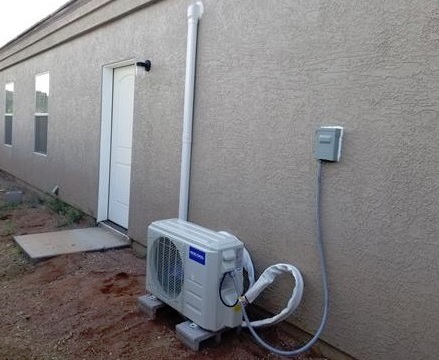 The line-set runs from the inside unit mounted on the wall to the outside condensing unit. The lines are usually soft copper and easy to bend and shape a path between the two units. The lines cant be kinked or the refrigerant wont be able flow which transfers heat around. This is not that difficult simply take your time when bending the lines going slowly. The line-set will need to be in a vacuum before the refrigerant is released into the system. The refrigerant is held in the outside unit that is usually released with an Allen key after everything is finished. Pumping down the unit require a HVAC pump and Gauges. Using them is not that difficult once some basic concepts of how they work is understood. The gauges are used to measure pressure and hook up to the one port mini split units have. 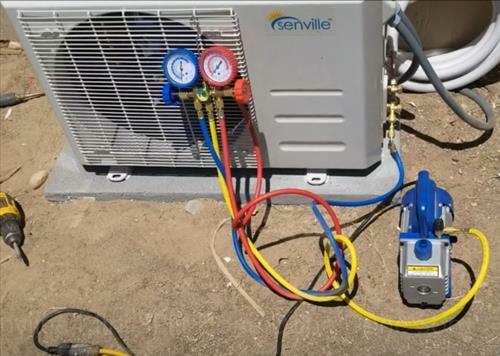 The pump pulls out all the air and puts the system into a vacuum that it needs to keep the refrigerant clean and uncontaminated. There can be no leaks in the system or the refrigerant will leak out. Some people go to great lengths to make sure there is no leaks with a debate on the best method. For example some will use nitrogen to test the system which I believe is over kill. When the system is vacuumed down with a HVAC pump if there is any leaks it will lose its vacuum. 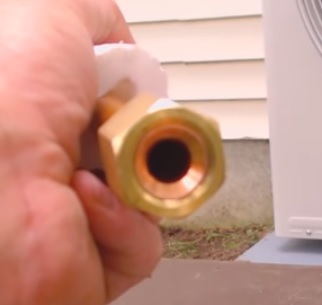 This is the main way most HVAC techs will test a system. Gauges and a Pump or hooked up and the unit vacuum out. After it is in a vacuum the pump is turned off and the unit left to sit for 20-30 minutes or longer. If there is a leak the unit will lose its vacuum. If there is no leak the vacuum will hold and the refrigerant can be released. The unit will need 110 or 220 volts to operate depending on the unit bought. It also will need to be on a breaker to shut off if there is a problem. Every install will be different for how electrical is run. For example some may have an electrical panel outside close were the unit will be and quickly run to the box. Another install may be on a detached building and need electrical run to it. 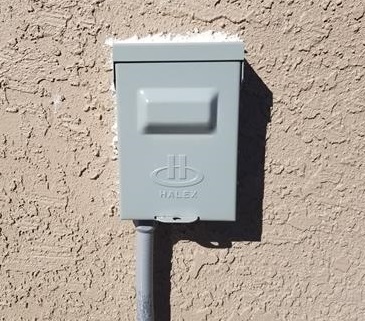 A Disconnect box will need to be placed close to the outside unit so it can be shut off or on during maintenance or an emergency. Read Here for How To Wire up a Mini Split. So What Is the Easiest Mini Split to Install? After installing many mini split DIY kits the easiest unit to setup was the MRCOOL unit. Keep in mind I don’t think it is difficult to use a vacuum pump or gauges but here is some nice features about a MRCOOL Mini Split. 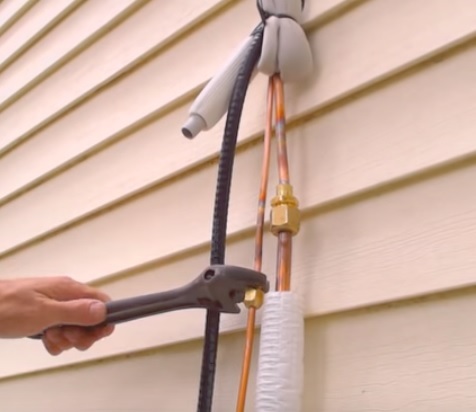 The main big feature that makes the MRCOOL Mini Split easy to install is the Quick Connect Line-set that comes sealed. The line-set comes already in a vacuum with the tips having a seal that is broken when bolted on. This means there is no need for Vacuum Pump or Gauges with the line simply bolted onto the condensing unit. The line-set is also made from a steel mesh material with copper tips that resist kinking, unlike other copper line-sets which can kink easily if care is not taken. This is a big plus for anyone who doesn’t want to buy and learn to use a HVAC vacuum pump and gauges. MRCOOL DIY unit can also detect a leak with a low coolant alarm. It also operates on 120 volts which is easier for many to hook up instead of 220 volt system. Installing most any Mini Split is not difficult for a handy type of person with basic skills. 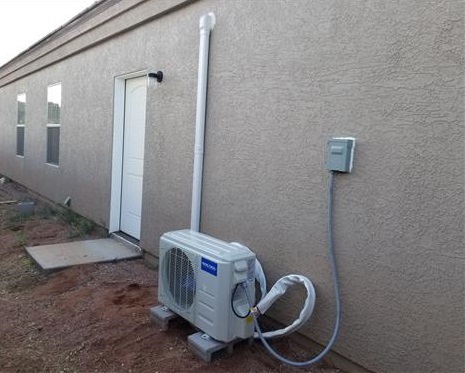 Personally I think all units are easy to install and have no problem running electrical or using HVAC vacuum pumps or gauges. 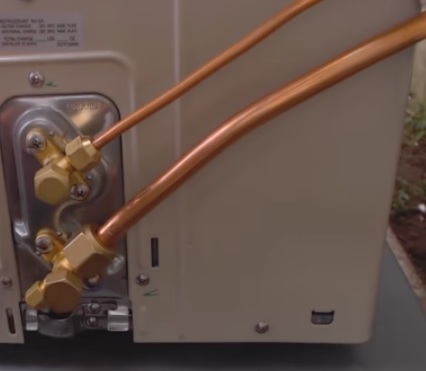 Of course not having to pump down a unit into a vacuum is convenient and saves time. So far after installing the many mini split DIY kits available the MRCOOL unit has many features that make it easier to install. This is only my opinion so be sure to read the reviews on Amazon, forums, or elsewhere to be sure a unit is a good fit for you. Have you installed a DIY mini split unit? 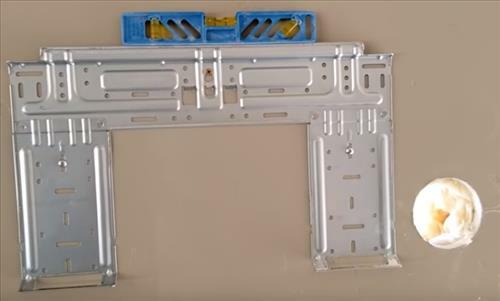 Let us know how hard or easy the install was in the comments below.